"What do they know of Cornwall who only Cornwall know"
The Cornwall Family History Society Cornwall Family History Society aims to become a centre of excellence encouraging research in Cornish social and family history. An ongoing process of transcribing and indexing of original records is maintained by society members, resulting in our fine database of over 4.3 million entries. Our research library in Truro, Cornwall is open to all, offering a means of contact and information exchange. We are experienced in family history research and enjoy assisting and informing those who are just starting out on their ancestral trail. BBC - The Cornish: A Neglected Nation? Professor Mark Stoyle. For centuries Cornwall retained the marks of a separate country - the Cornish people having their own language, style of dress and folklore. Yet by 1700 there were only 5000 Cornish speakers left in the land. Dr Mark Stoyle explains how it happened. Timeline of Cornish History Find out more about Cornwall�s history through the Cornish timeline. The timeline was compiled from books and information available at the Cornish Studies Library. The Trevithick Society is one of the oldest industrial preservation societies in the UK, having been founded in 1935 to save the Levant beam winding engine from being scrapped. The Society is based in Cornwall but has interests in Cornish industry wherever it may be. 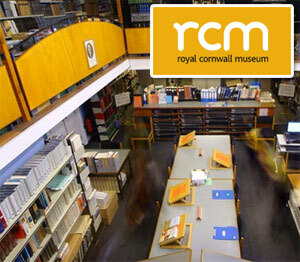 Cornwall Record Office Collections Cornwall Record Office (CRO) provides a professional archive service for Cornwall. Its main purpose is to ensure that the archives relating to the people, places and organisations of Cornwall are preserved for the future and made available, where possible, for public consultation.